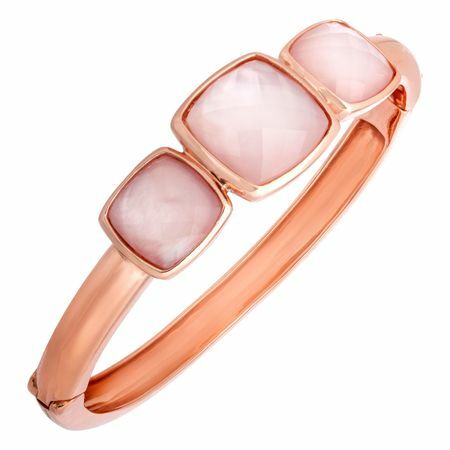 Be pretty in pink with this stylish statement bangle. This bracelet features three faceted cushion checkerboard-cut pink quartz totaling 17 ct set in a stunning 18K rose gold over bronze bangle. Piece measures 7 1/2 inches in circumference.